Bundled payments are on the rise. Last Thursday, Health and Human Services Secretary Alex Azar announced in a keynote speech at the Patient-Centered Primary Care Collaborative Conference that CMS will be revisiting mandatory bundled payment models, changing the way bundled payment programs have been treated by this administration under his predecessor, Tom Price. “Bundled payment” programs are designed so that a payer can reimburse providers for the coordinated collection of services involved in an entire predefined episode of care, rather than paying for individual services (for example surgery, anesthesia, and post-acute care) which have traditionally been reimbursed separately. The payments are set prices based on historical costs, which creates both financial risk and opportunity for providers. If the cost of care is lower than the set price, providers may keep the difference, but if it is higher, providers are responsible to absorb that difference. The programs encourage care coordination among providers, ideally leading to better outcomes and lower costs. Azar says that an outcome-based payment system would reorient power away from the government and back to the patient, and that bundled payments are one tool to achieve this. CMS has therefore recently launched an advanced version of the voluntary Bundled Payments for Care Improvement model, or BPCI, and is also revisiting mandatory episodic cardiac and radiation oncology models, in addition to building on the Comprehensive Care for Joint Replacement model. 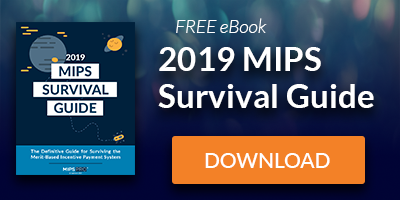 The Bundled Payment for Care Improvement Initiative (BPCI) is an ongoing, voluntary program which CMS began in 2013 and which tests four different models based on one or several of 48 different episodes of care involving inpatient hospital stays. Providers may participate in the BPCI initiative individually or as part of a larger group such as a hospital association or health system. The Cardiac Rehabilitation Incentive Payment Model was announced in July of this year with the goal of testing the impact of incentive payments on the use of cardiac rehabilitation services for patients who have been hospitalized for a heart attack or bypass surgery. This model is compulsory for randomly selected hospitals. The Oncology Care Model (OCM) is another voluntary program whose goal is to enable improved coordination, appropriateness, and access of care to chemotherapy patients during a six-month period following their initial chemotherapy treatment. This is a five-year model that began in July 2016 and runs through June 2021. The Comprehensive Care for Joint Replacement (CJR) model went into effect in April 2016. The CJR model is a mandatory model focusing on episodes of care for lower extremity joint replacement or reattachment of a lower extremity.